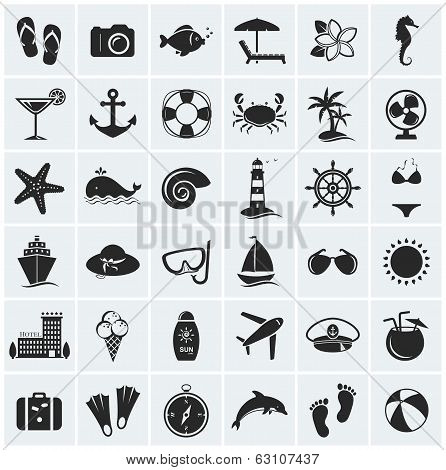 Places › Buy Poster of Set Of Sea And Beach Icons. Vector Illustration. Poster of Set Of Sea And Beach Icons. Vector Illustration.